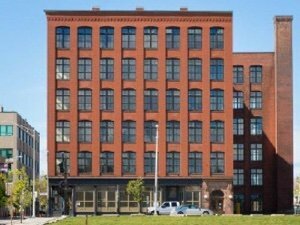 Boston, MA: EagleBridge Capital, is pleased to announce that it has arranged permanent mortgage financing in the amount of $12,650,000 for a newly constructed 59 Unit Apartment building located in Providence, RI. The mortgage financing was arranged by EagleBridge Principals Ted Sidel & Brian Sheehan who stated that the loan was provided by a Massachusetts Bank. “The property is located in downtown Providence and is a re-development of a historic brick & beam building formerly used for office space. The sponsor did a fantastic job of converting this property to residential use, including ground floor retail. We secured a very competitive fixed-rate mortgage on a non-recourse basis.”, explained Mr. Sidel.